For me, when I installed the 14T sprocket, the issue was purely electronic. It has nothing to do with anything actually slipping or gripping. I really don't think this is caused by the clutch because it would happen in every gear and probably more than a singular RPM range. That said, when something screws up it's always best to check the last thing you touched! OK, now that I look at the kit in front of me these drawings make sense...I'm a little slow on the uptake! The clutch assembly is now back on the bike and the clutch cover has been dry fitted and awaiting it's final fitting. Getting that cover on is a challenge! I ended up bungieing the brake pedal full on, attaching it under the bike to the centre stand. Hopefully today I will be able to finesse it on without messing up the sealant goo. Hey guys, just a heads up that valtermotousa has (at the time of this post) 9 more of these kits available. Get em while you can, no waiting until May!! Ordered last week and installed yesterday! Clutch is waaaay better... But neutral is now hard to find. Im assuming it needs more than to warm up and ride around the block to break in. I haven't installed mine yet (I just received it today actually), but I know that in the stock configuration my neutral is very hard to find unless I have the clutch lever pulled right to the grip, even though the bite point is much further out in the travel. Maybe just give the cable a quick adjustment and see if it helps? Took it for a couple mile spin, adjusted the cable, and it seems to be better now, but still hard to find, but not as hard. Never had an issue with this prior to installing the kit. The washers that come with the kit get installed UNDER the springs and then bolt the spring retention clip on. Didn't really see that anywhere (might be blind). They were indicated to be spacers, but where to be installed was left out. 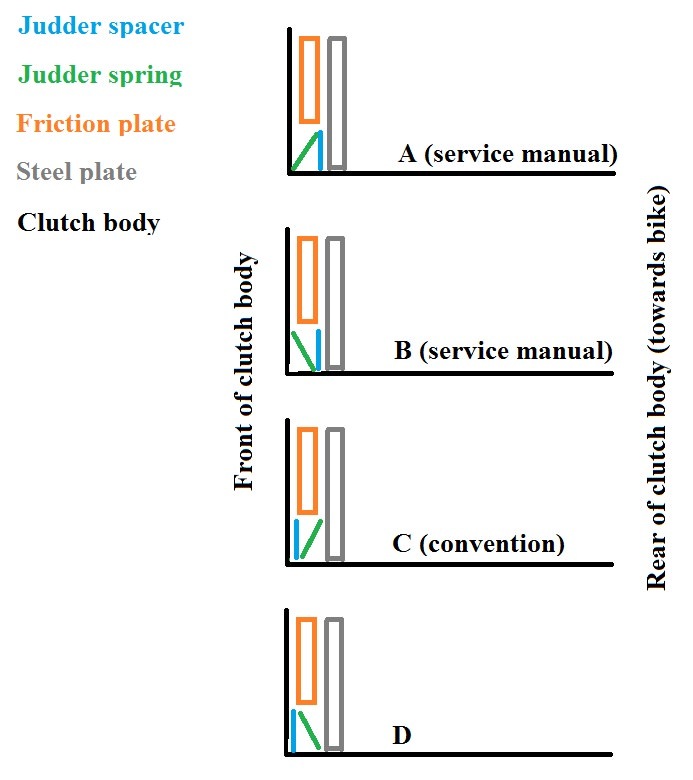 As indicated in instructions, 10 DRIVING (friction) plates and 9 DRIVEN (steel) plates. It is 11 DRIVING plates with the "turned plate" from the kit and one stock plate removed. It replaces that plate. The instructions are a little goofy. I removed the bolts for the lower belt cover and slid it to the side a bit (with some force) before removing the clutch cover. Also removed the brake pedal. Made life a TON easier and got NO sealant where it didn't belong. Last edited by starfighter; March 26th, 2018 at 09:51 PM. I just wanted to say thank you to kuksul for sourcing the parts required and to bayotte for this guide. I just came back from my first ride since doing the clutch fix and...wow! I just can’t wait for the upcoming season. It is night and day difference, so much easier to do smooth shifts, more linear, much more enjoyable! It was well worth the time!